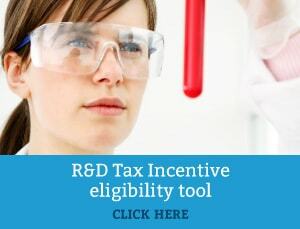 Does the R&D refundable tax offset generate a franking debit in my franking account? Generally, a franking debit arises in your entity’s franking account when you receive a refund of income tax which includes a refunded amount from a tax offset. However, special rules ensure that the amount of R&D tax offset refunded is not immediately reduced as a result of the entity becoming liable to franking deficit tax. The franking debit that usually arises when a refund of income tax is received, is effectively deferred in relation to refundable R&D tax offset amounts. If a debit has been deferred for this reason, a franking credit will not arise as a result of income tax or pay as you go (PAYG) instalments your entity pays until you recover these deferred franking debits. about franking debits and an example illustrating how a corporate tax entity accounts for any deferred franking debits in current and future years, refer to Franking account tax return and instructions 2012 on the ATO website. about when franking debits will arise, refer to Simplified imputation – the franking account on the ATO website. Please consult with your general tax agent to learn how your franking account can affect a potential R&D tax claim.